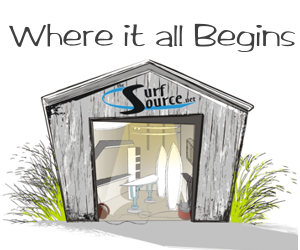 ​The world’s surfing market source for surfboard design, repair and accessories. Everything you need to build and repair surfboards. We’re the largest surfing product distributor on the U.S. East Coast with more than 500 products. “Shop online for materials, tools and supplies to design, repair and ride your surfboard. Check out all of our products, from surfboard blanks, shaping tools and fins, to stand-up paddle board accessories and surf shop items like Ding Repair supplies, board bags, leashes traction and fins. Surf Source surfboard design and repair products are also available around the world through our global distribution network.